Susana is passionate about the role leaders play in creating the conditions for people to achieve their full potential in the business environment. 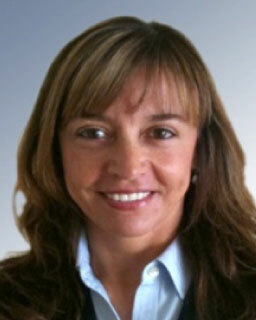 Susana has more than two decades of experience in business and international consulting. Having held different senior positions in global organizations, she has driven change and turnarounds to achieve improved performance and profitability, increase morale, and create engaging organizational climates. In her consulting experience, Susana has focused on delivering practical advice to top executives on the complex leadership dynamics that operate in local, regional, and global organizational settings. Susana spent 15 years working as a line executive in the metal, mechanical, and telecommunications industries. In 1997, she joined the consulting field with the purpose of merging her business experience with her passion for human motivation. She worked for Hay Group for 12 years, holding roles from Consulting Director to Regional Managing Director, and then became member of the Global Leadership Team for five years. Susana has broad experience advising top executives and company owners in various industry sectors (Services, Retail and FMCG) on how to balance the complex demands of boards, headquarters, executives and employees through developing robust governance systems. As an executive herself Susana implemented structural changes and cultural turnarounds to foster growth and regional integration. Susana received a degree in industrial engineering from the National University of Cuyo in Mendoza, Argentina. She later completed the Advanced Executive Program at Northwestern University’s Kellogg School of Management. Susana is married with two children and loves running, playing tennis, and cooking. Throughout my career I have experienced the need for integration, connection and collaboration in several moments and fashions to produce a result considered outstanding from all perspectives and by all stakeholders. I believe that every time we lose sight of the whole, we diminish the potential value that resides in people, processes, technology and their interactions. I see myself devoted to a single aim: contributing to create business value in the bigger sense of the matter: short and long term; for clients, employees, shareholders, and the community; and also as a source of development, evolution, meaning and joy.